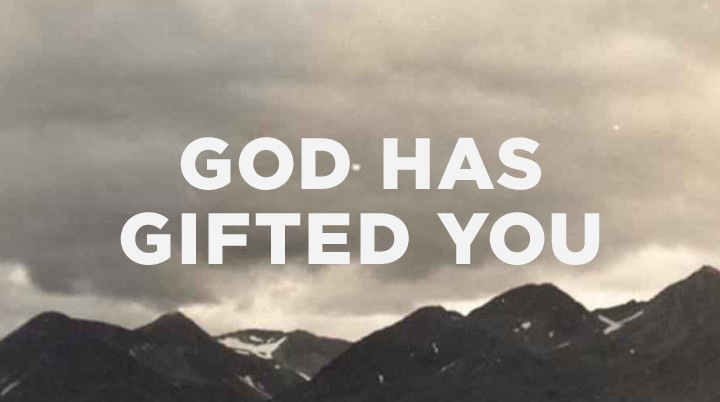 ← Want to Discover Your Spiritual Gifts? You Can Here. Have you heard of the term “child prodigies?” Although educators often label them as “gifted and talented,” they are young people blessed with unbelievable intelligence, or amazing artistic talents, or seemingly unnatural physical abilities. Examples of child prodigies would include Mozart who learned to play the piano at the age of four. He composed his first pieces of music at five and at age eight, he wrote his first symphony. Another example would be Pablo Picasso who had already become an accomplished and renowned painter in his teenage years. In more recent history many of you have probably seen the video of Tiger Woods as a two-year-old on the Tonight Show hitting golf balls. A few years ago a young man named Michael Kearney received national attention when he earned a $1,000,000 on the television game show “Who Wants to be a Millionaire?” He too was a “child prodigy.” Michael finished high school at age 6 and earned his first college degree at age 10. He began teaching college by the age of 17. He spoke his first words when he was four months old. At the age of six months, he said to his pediatrician, “I have a left ear infection.” He had learned to read at the age of ten months. When Michael was four, he was given diagnostic tests for the Johns Hopkins precocious math program and achieved a perfect score. 1 Now about spiritual gifts, brothers, I do not want you to be ignorant. …3 Therefore I tell you that no one who is speaking by the Spirit of God says, “Jesus be cursed,” and no one can say, “Jesus is Lord,” except by the Holy Spirit. Four times in this letter that we call “1 Corinthians” the Apostle Paul used a short phrase like “now about” to transition to a new thought or topic. Remember that Paul addressed a long list of spiritual and practical concerns connected to the Christian church in Corinth. In the first eleven chapters he wrote about divisions in the church, lawsuits between Christians, sexual immorality, marriage, worship, and the Lord’s Supper. Then beginning in Chapter 12 and continuing through Chapter 14 Paul addressed the issue of spiritual gifts among Christians. Perhaps I am stating the obvious when I say that any intellectual, artistic, musical, or athletic abilities that a child has are gifts. No child prodigy decided to be born a genius, an artist, or an athletic superstar. Yes, it is true that people like Mozart, Picaso, and Tiger Woods had parents that helped them develop their gifts but clearly they were gifted at birth with abilities above and beyond those of the average person. In a similar way none of us can take credit for being gifted in the area of spiritual things. It was the Holy Spirit that first of all gave us the gift of faith in Christ. And it is also the Holy Spirit that has given each of us gifts to use for serving others. After making the point that the Corinthian Christians were gifted because the Holy Spirit had given them the gift of faith Paul went on to remind them that they also had been given gifts for serving others. “Now to each one the manifestation of the Spirit is given for the common good.” There wasn’t a single believer at the Church in Corinth that could say he or she had no spiritual gift to use in service to God and others. Each of them had at least one gift to be used for serving others for the “common good” of all. So are things any different for us? No. The same truth applies to each and every one of us. You and I are gifted. The Holy Spirit has given us at least one gift to use in service to others. So what do these gifts look like for us today? “Serving” is such a broad category that it could include a nearly endless list of tasks. Helping in any ministry, mission trip, or special event the church is doing. We have many things that need to be done each week to hold services such as cleaning, landscaping, loading message and song slides, video, lights, sound, kids classes, youth group, Connect Groups, and the list could go on and on. Obviously not everyone is able to teach a kids class, youth lesson or coordinate a Connect Group but if you are asked consider giving it a try. Maybe the Lord has given you the gift of encouragement. You are able to show genuine concern for others and lift their spirits with words of encouragement. As you look at your financial blessings perhaps the Holy Spirit has given you the gift of contributing to the needs of others. Always remember that you have at least one spiritual gift to use for others. Ask the Holy Spirit to help you find it and motivate you to use it. Research on child prodigies or gifted and talented children you shows one common problem that most of them experience. Gifted children are often bored in school or with life in general. Very often they are never challenged to use their gifts and so they waste them. I believe the same thing happens to many Christians. Their gifts go unused because they are never challenged or asked to put their gifts to use. I am asking every one of you right now to look honestly at yourself, find your spiritual gift or gifts, and put it or them to use in service to others. This entry was posted in Messed Up Church - 1 Corinthians and tagged 1 Corinthians 12, spiritual gift. Bookmark the permalink.